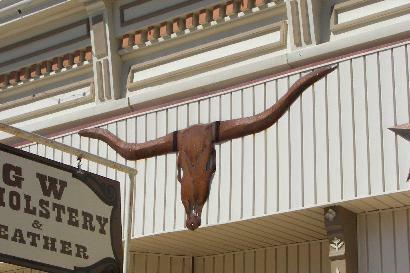 Goldthwaite, Texas history, attractions, landmarks, courthouse, photos, travel. 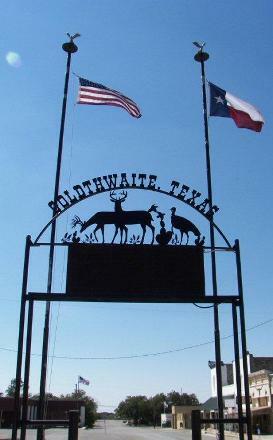 Yes, it's Goldthwaite - named after Joseph G. Goldthwaite a railroad official who sold the first town lots. 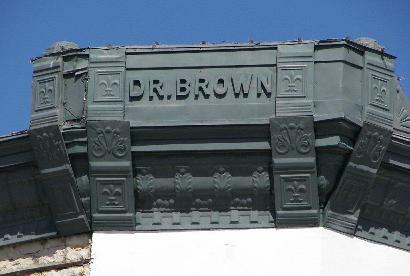 1885: The town is established in what was Brown County on the Gulf, Colorado and Santa Fe Railway. 1886: The post office opens. 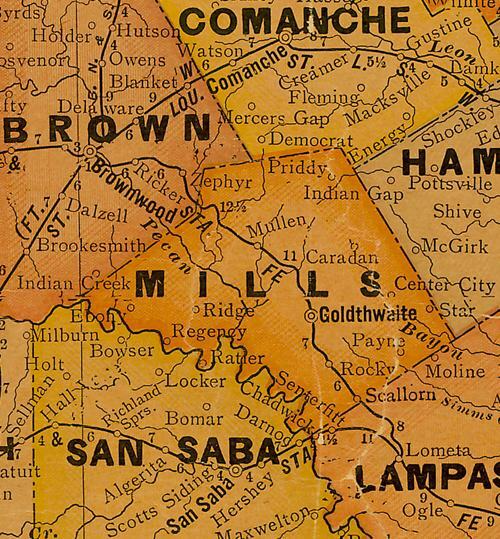 1887: Mills County is organized. 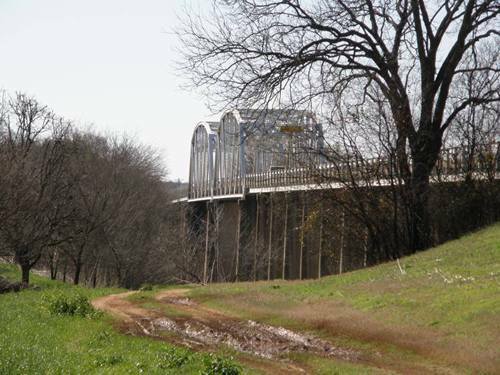 Land was donated with the understanding that Goldthwaite would be designated the county seat. 1888: The Mills County jail is built. 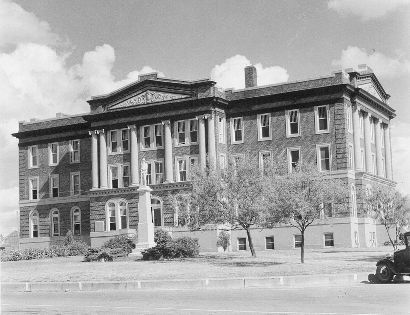 1890: Courthouse is built. 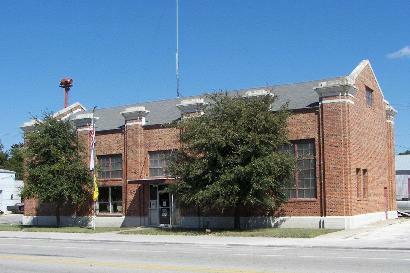 Santa Fe Railroad builds a roundhouse and shops, but moves their division point to Brownwood after labor problems. 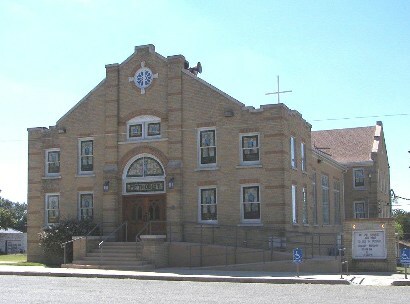 1898: The population reaches 1,200, and the town has two weekly newspapers, the Eagle and the Mountaineer. 1905: The Confederate Reunion that year was the largest public gathering in Mills County history. 1915: county's first school library was established and construction began on Lake Merritt. 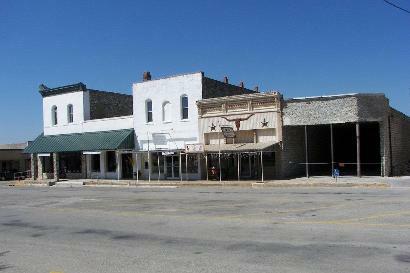 1928: Goldthwaite had a population of 2,800. 1931: The population falls to 1,324 due to drought and economic hard times. Recovery after the depression was slow, and the actual number of business in 1988 was below the 55 reported in the 1950s. 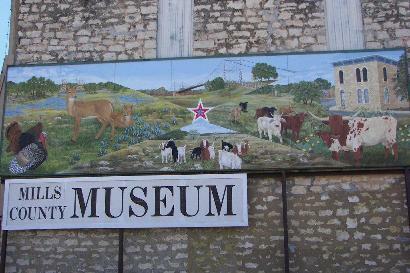 Agricultural diversification provided a solid economic base and wool, mohair, cattle, sheep, and pecans, are mainstays of the economy. On the corner of Fisher and Third Street. 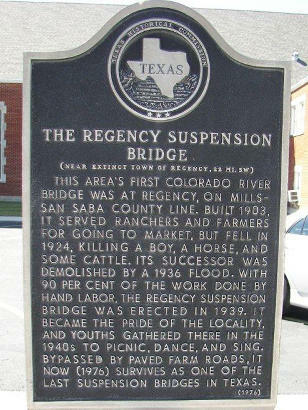 One of Texas' last suspension spans. 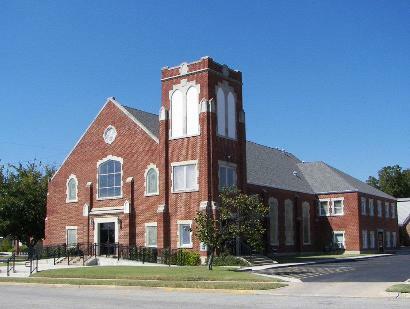 The First Baptist Church, built in 1949. "Looking north up Fisher Street from the courthouse. 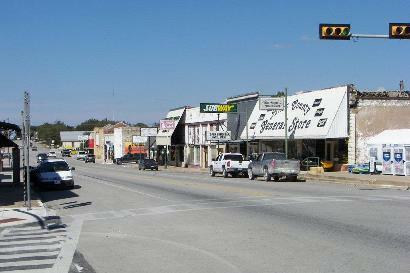 Fisher Street (HWY 16/183) is the main street in Goldthwaite." 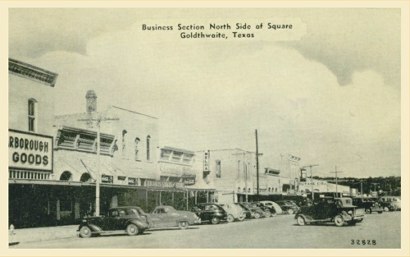 "Business Section North Side of Square, Goldwaite, Texas"
"I've been to Goldthwaite four times now and this always made me laugh. 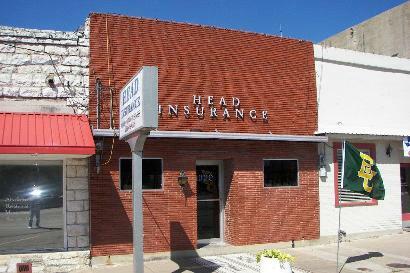 The building is across from the courthouse." Historical Marker "on Fisher St (183/16) in front of the First Baptist Church"